Saturday, April 20 for Easter. Charles R. Jonas - Pre-School Story Time – EVERY WEDNESDAY, 10:30 a.m. to 11:30 a.m.
Charles R. Jonas - Toddler Story Time (Ages 2-3), EVERY THURSDAY, 10:30 a.m. to 11:30 a.m.
Florence S. Shanklin – Pre-School Story Time (Ages 2-3), EVERY MONDAY AND TUESDAY, 10:30 a.m.
Florence S. Shanklin – Baby Story Time, Wednesday, 10:30 a.m. to 11:30 a.m.
West Lincoln Branch – Pre-School Story Time – EVERY THURSDAY, 10:30 a.m. to 11:30 a.m. Kids Art Class with Candy Shannon, April 15, 4:30 PM - 5:30 PM @ Florence S. Shanklin Library --- REGISTRATION REQUIRED, space is limited. Grades 1 through 5. Why are Plants Important? - Homeschool Program, April 16, 2:00 PM - 3:00 PM @ Charles R. Jonas Library --- Patty Dellinger from the Soil and Water Department discusses how plants are essential to life. Bunny Pots - Adorable Decoration, April 16, 4:00 PM - 5:00 PM @ West Lincoln Branch Library --- Adult or teen craft - Make an adorable bunny pot. Dementia: Understanding Behaviors, April 16, 6:00 PM - 7:00 PM @ Charles R. Jonas Library --- Partners Behavorial Health presents an informative program on dementia. Sherlock Holmes Escape Room, April 17, 6:00 PM - 7:30 PM @ Charles R. Jonas Library --- Sherlock Holmes Museum Heist Escape Room - for teens - Space is limited. Lego Build - Cartoon Characters, April 18, 4:00 PM - 5:30 PM @ Florence S. Shanklin --- Build your favorite cartoon character with Legos! Young Adult Writers - "Writing Anyway" April 18, 6:00 PM - 7:30 PM @ Charles R. Jonas Library --- ages 14 to 19 - practice and improve your writing in a casual no pressure environment. 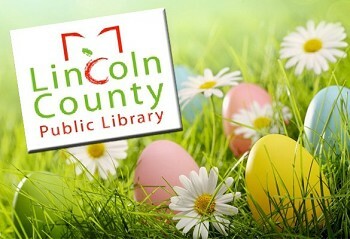 CLOSED - Lincoln County Public Library - all branches will be closed on Friday, April 19 for Good Friday and on Saturday, April 20 for Easter. 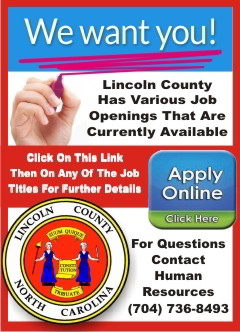 Library Locations - The Lincoln County Public Library has three branches. 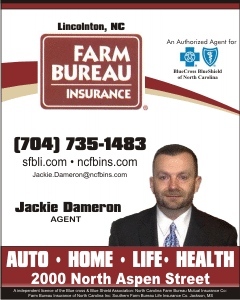 Charles R. Jonas Library (Main Branch), 306 West Main Street, Lincolnton, (704) 735-8044, is open on Monday, Tuesday and Wednesday from 9 a.m. until 9 p.m.; Thursday from 10 a.m. until 6 p.m.; Friday and Saturday from 9 a.m. until 6 p.m.
West Lincoln Branch Library, 5545 N.C. 27, Vale, (704) 276-9946, is open Monday from 10 a.m. until 8 p.m.; Tuesday through Friday from 10 a.m. until 6 p.m.; Saturday from 10 a.m. until 1 p.m.
Florence S. Shanklin Library, 7837 Fairfield Road, Denver, (704) 483-3589, is open Monday from 10 a.m. until 8 p.m.; Tuesday, Thursday and Friday from 9 a.m. until 6 p.m.; Wednesday from 10 a.m. until 6 p.m.; Saturday from 10 a.m. until 2 p.m.